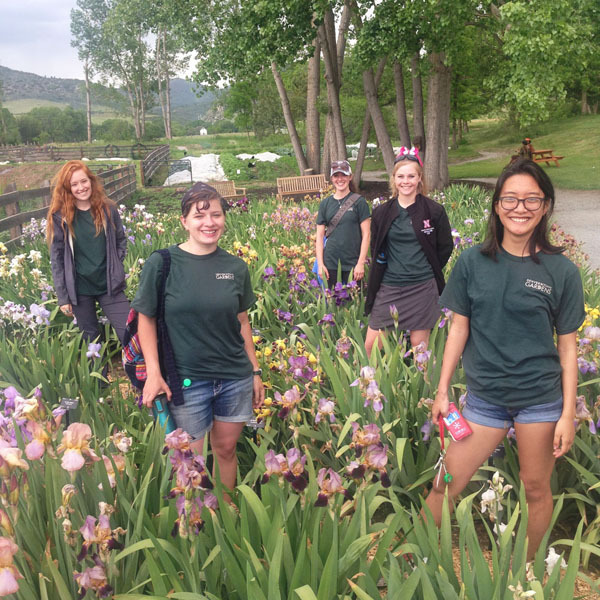 Every year Denver Botanic Garden's Horticulture Department welcomes a handful of exceptional horticulture students from across the country to study with us in a project-based, 10-week internship. A plant science major, Chloe is led by her passion for the outdoors and will be starting the UT landscape architecture program in the fall. During the school year, she works as an intern for the UT Gardens. Amanda is studying horticulture with an emphasis in food production and Spanish at South Dakota State University. She loves to travel and has studied food production methods in Honduras. Other than plants, her passions include language, coffee and being outdoors. Kristina was born and raised in Wichita, Kansas. She graduated from Kansas State University with a degree in horticulture, landscape design and is currently pursuing her horticulture therapy certificate. Her passion is being outdoors and finding health and rejuvenation while being immersed in nature. She wants to use her talents to help everyone through horticulture. Olivia is currently a junior at the University of Nebraska, Lincoln, majoring in horticulture with a plant science option. In her free time, she is a member of UNL's horticulture club and enjoys staying active in slow pitch softball and flag football. Her past experience includes work as a farm hand and as a research technician at Bayer Crop-Science. Nurani is a rising junior at the University of Maryland pursuing a horticulture degree and a potential creative writing minor. Since 2015, Nurani has worked as a databasing and collections employee for the University of Maryland herbarium. She is most excited about plant conservation and educating the public on environmental issues. Aside from garden work, she loves dogs, poetry, painting and napping. Check back throughout the summer for updates from the interns. Welcome to the team! We were so happy to meet these fine young ladies during their visit to Chatfield Farms. They will learn a great deal while they are with Denver Botanic Gardens, and will surely enjoy all the great experiences Denver and Colorado have to offer. P.S. Love the photo of them in the Chatfield Farms Iris Garden! Please visit Denver Botanic Gardens' website www.botanicgardens.org/internship-opportunities in late November to learn about available 2018 internships.